proud of our own Former Anchor Student Volunteer! Whichever aisle you represent – should be proud of our own Former Anchor Student Volunteer! Way to go Gaby! 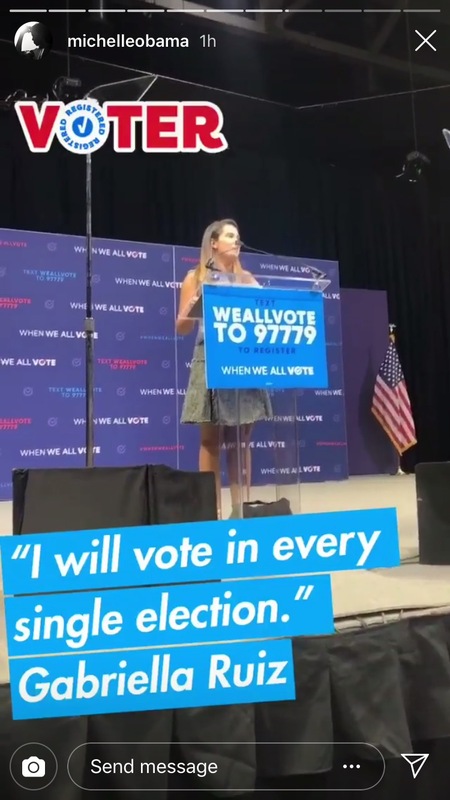 Gaby Ruiz, former Miami Springs Senior High Anchor Club President (2015-2017) and Florida District Anchor officer, was asked to introduce First Lady Michelle Obama at last Friday’s “When We All Vote” Rally during National Voter Registration Week! Gaby, a student at Miami Dade College, works with the National Immigrant Coalition. She gave a passionate speech about voting for the first time to over 6,000 attendees.